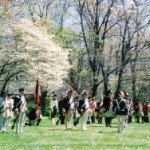 Two hundred years ago during the American Revolution real-time reporting was responsible for uniting colonists looking to break free from British rule. Colonial newspaper reports kept the colonists motivated and informed, and without them, it’s possible the revolution may not have happened. 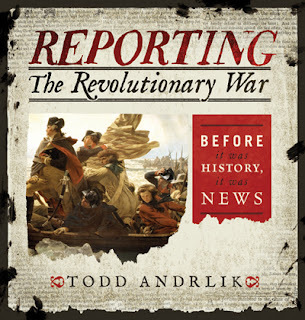 Readers can experience the American Revolution as it was reported in Reporting the Revolutionary War: Before It Was History, It Was News (Sourcebooks, 2012). Author Todd Andrlik has compiled one of the most significant collections of colonial papers published between 1763 and 1783 and is among the nation’s leading authorities on 18th-century newspapers. Reporting the Revolutionary War features eyewitness accounts, battlefield letters, and breaking news compiled from hundreds of newspapers on both sides of the Atlantic, starting with the Sugar Act of 1764 and spanning three decades through the war to President George Washington’s farewell address in 1796. Essays from 37 historians and American Revolutionary experts guide the reader through the initial dissent of the Boston Tea Party to the battlefields of Lexington and Concord and Bunker Hill to independence. They also provide insight on how newspaper accounts impacted each step of the revolution. Reporting the Revolutionary War is also available as an enhanced eBook ($14.99) available at Barnes &amp- Noble that contains videos from contributing historians and an interactive timeline that allows readers to jump to newspaper articles related to a specific event. Todd Andrlik is among the nation’s leading authorities on 18th century newspapers. He has built one of the most significant collections of American Revolution era newspapers – containing the earliest printed reports of practically every major event and battle from 1763 to 1783. Andrlik estimates that 15% of his 18th century collection is made up of newspapers with less than five originals known to exist. About 100 newspapers, dating as far back as the 17th century, from his larger collection are currently housed in the Library of Congress. Andrlik is also the curator and publisher of RagLinen.com, an online museum and educational archive of historically significant newspapers dating back to the 16th century.